The Montreal Metropolitan Community Orthophotos / Orthophotographies de la Communauté métropolitaine de Montréal, are produced by the Communauté métropolitaine de Montréal. These orthophotos are digitally enhanced and georeferenced aerial photography, can be viewed using imaging software such as Adobe Photoshop, and can be used for cartographic purposes in GIS software such as ArcGIS. 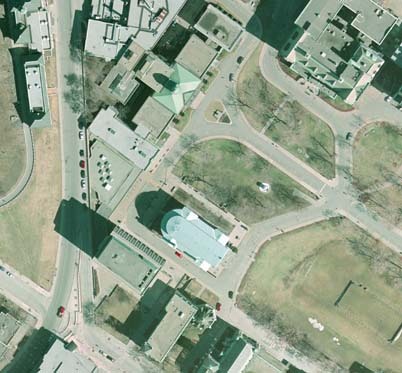 Access Members of the McGill Community can obtain copies of the data by filling out the Geospatial Data Request Form . Please list desired orthophoto images [Example: 298-5040], year, and scale (Example:1:15,000].